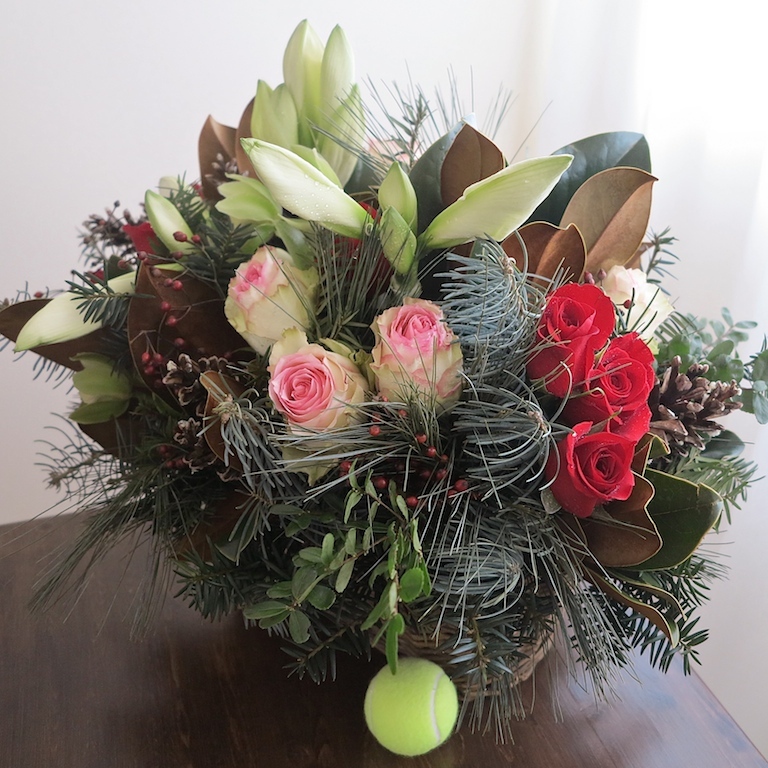 Christmas bouquet of white amaryllis, pink & red roses, cones & berries presented in a basket. Beautiful and tasteful flower gift just a click, tap or call away. Recommended as: Christmas flower arrangement, Anniversary flower bouquet, Chanukah or Corporate flower gift. 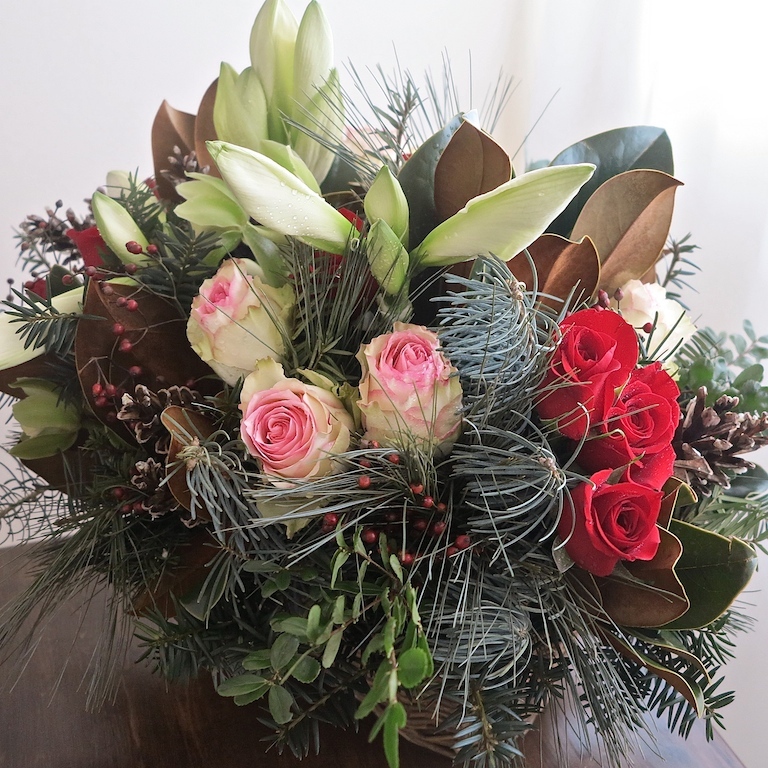 Enjoy mobile and online shopping at your tToronto local florist. If you need any assistance please do not hesitate to call us at local flower shop. We offer GTA & downtown Toronto flower delivery.